Having tunnel vision can be a good thing sometimes. It can hep you focus, prevent distractions and improve your ability. That’s what I used to think. Why would anyone need more that one guitar? How many different sounds do you need? Surely one guitar is enough to master the fretboard. You only have to look at Angus Young to see that. Well kind of, he has quite a few Gibson SGs, but it is the same kind of guitar. For years I played a Charvel Model III.Â BeautifullyÂ built with the fastest,Â thinnestÂ fretboard you have ever seen. 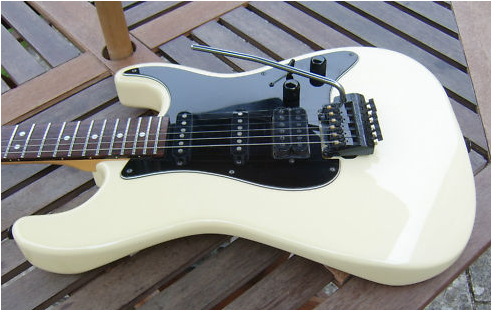 Otherwise known as a “Superstrat”, it was modelled on the Stratocaster with the exception of a Humbucker in the bridge and a very pointy headstock. This was built in the late 80’s and I purchased mine in 1989. I suppose technically it is now vintage. Things changed when I decided to buy the guitar I longed for for a very long time, the Gibson SG standard, Heritage Cherry. At last I had the guitar I always wanted and have been playing this for the last three years. That is until after buying a copy of Guitar and Bass, I spotted the Les Paul Studio 60’s Tribute Goldtop listed in the Namm show section. The thing was, it had P90 pickups and was a stripped back, very simple guitar. I liked this. A quick check on Youtube and it sounded amazing. The quest began, but after visiting a few guitar shops, no-one had the Goldtop left. They wereÂ sellingÂ as soon as they came in and were a limited run. After a few months of waiting and by chance I was passing a local guitar shop on the way home from weekend break. They had a Goldtop, but not in that shop, it was in one of their other shops. Forty minutes later,Â IÂ was there. I picked up the Goldtop just seconds before another guy in the shop wasÂ approachingÂ it. It looked amazing and very simple. Gold on one side, plainÂ mahoganyÂ on the other. Simple is good! After 10 seconds of playing, I knew I was going to buy it. Months ago I had played a black one, but it wasn’t right. It sounded great but the mojo wasn’t there for me. This had mojo in bucket loads. So buy I did. And what it the verdict? This guitar has amazing tone. I always play Hybrid Strings 46 -9, so the first thing I did was to restring it with these. I have to say, it didn’t quite sound the same. So I put a set of 10s back on it (with a top E 9). After a little bit of setup, this thing sings. I had to adjust a few things. Most guitars usually have somethig not quite right, but these are usually small things and easily fixed. I am totally happy with this purchase and would absolutelyÂ recommendÂ this guitar, if you can find one. The P90Â pick-upsÂ having incredible clarity and have a huge tonal range. As for playability, superb. Open chords sound wonderful, especially on an amp with a little crunch. 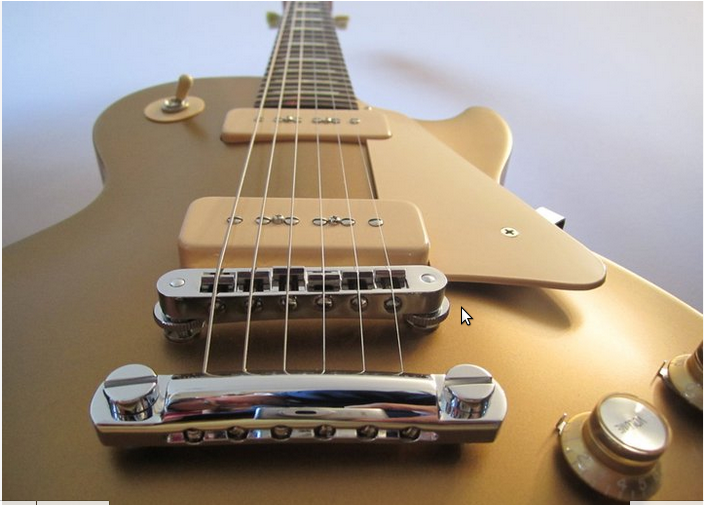 This entry was posted in Gear and tagged gibson, gold top, Les Paul studio tribute. Bookmark the permalink.